Combining career development with spirituality: The European Leadership Programme is a unique project in Brussels. “I was looking forward to a programme inspired by the founding Christian democratic fathers of the European Union,” said Kamil Mikulski, a 27-year-old from Poland, introducing himself. Kamil is one of the five fellows the JESC (Jesuit European social centre) selected for the European Leadership Programme (ELP) started on 1st March this year. He is interested in geopolitics and intelligence security. In his vision, the European Union of the future will have a common European security agency. 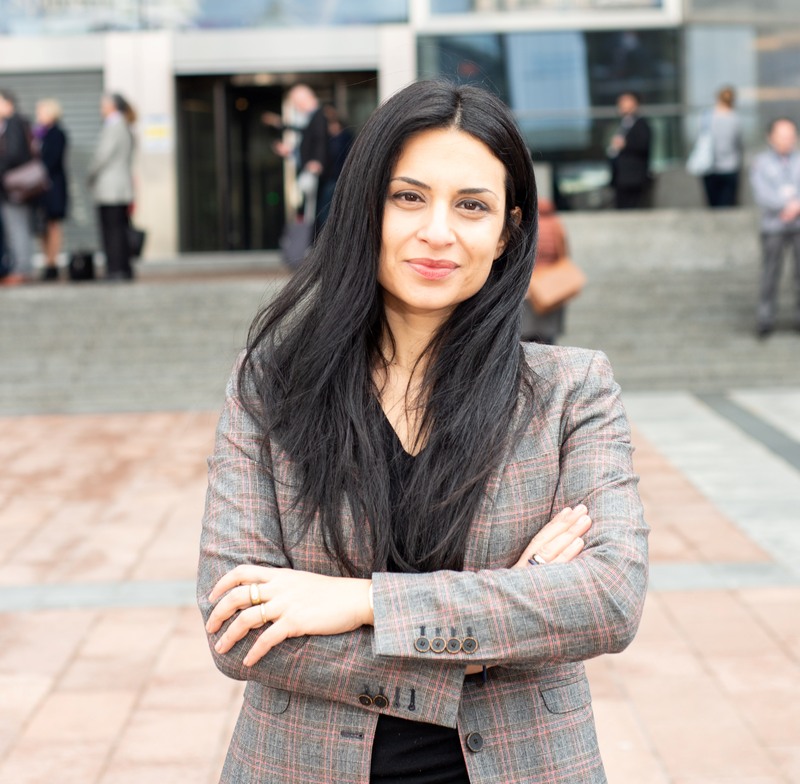 Every year, thousands of postgraduate students arrive in Brussels searching for a path to their career. Many of them focus on their personal ambitions; many try to find a meaningful experience through an internship in the European institutions. Often they do not find it. Perhaps it is not just a job that they need – it is a mentor. That was the experience of Kamil who had several work experiences but then decided to do something different and joined the ELP in Brussels. 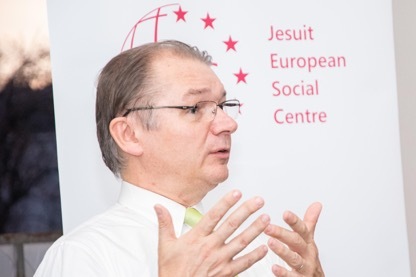 Based on the idea of combining career development with spirituality, the ELP is a project run by the Jesuit European Social Centre (JESC), supported, among others, by the Bishops Conferences in the EU. Ismail Targuluyey, 26 years-old and from Azerbaijan, is also an ELP fellow. He is keen to learn about the existing policies of the EU on education, agriculture, innovation and technology. “I want to see this same sort of development in my own country,” he said, hoping for a better future for Azerbaijan. Politics, learning, coaching, immersion (in volunteering with people at the margins) and community are the five themes that fill the time of the fellows this semester and those coming in the further semesters. “Coaching is my favourite,” said Magdalena Smenda, a 26-year-old from Poland. “I hope to discover what I can do professionally.” And they enjoy weekends at a spiritual retreat outside of the city to help make them better know themselves, away from daily distractions. 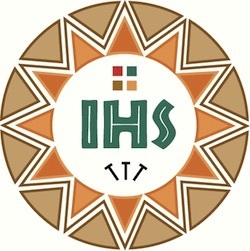 This is the same kind of spiritual retreat that Peter Rožič SJ, along with other Jesuits, organises for entrepreneurs and politicians such as Lojze Peterle. Mr. Peterle is a politician from the New Slovenian party and a member of the European Parliament. He served as Prime Minister of Slovenia from 1990 to 1992 and then as the country’s Foreign Minister. He is also one of the prominent lecturers at the ELP. 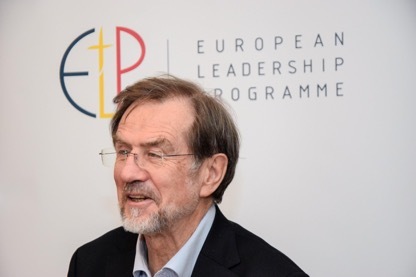 During his meeting with the ELP fellows on 20th March, he talked about his political experience during a time of transition in Slovenia at the end of the communist system. The fellows appreciated how engaging he was when talking about his own personal growth as a man of faith during the most difficult years of his life. “Being a leader has been a gift to serve my people,” Peterle said. His values, he concluded, are rooted in human dignity and social justice. The good news for aspiring new fellows is that a new semester of the ELP will start in the Autumn of 2019. Registration opens in July. It will be a great occasion to once again bring politicians and academics, such as Herman Van Rompuy, former European Council President, together with a younger generation of fellows wanting to develop their personal commitment to politics, faith and justice. For more information follow the ELP on Facebook.